When I was a kid. . .(wow, how old am I now that I start a sentence like that!?) Anyway, our family often played board and card games. We didn't have much money for dinners out or movies or vacations, but we played together. Trivia Pursuit was a favorite along with Yahtzee, poker, Connect 4, Rummy, and countless other games. Pat and I have even had our own game-playing spells. 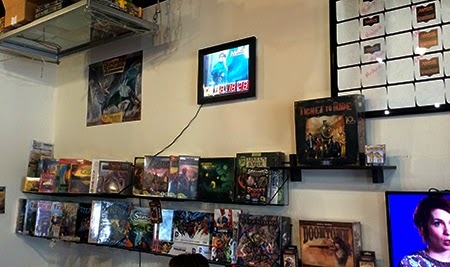 When Pat started watching Tabletop on YouTube (a channel hosted by Wil Wheaton where he and a few other folks play a game in each episode), I didn't really know what to think. However, this spurred me to make a visit to a local store, Mini War Game. 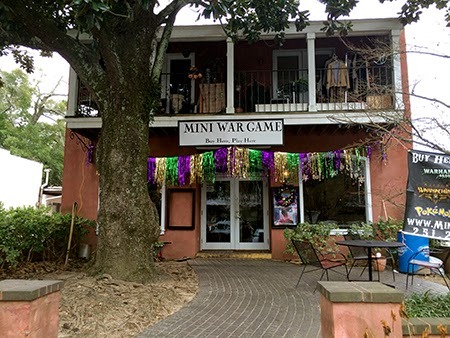 The store is located in downtown Fairhope and deals in card, board, tabletop, and role playing games (no electronics) and encourages you to even play in the store. On my first visit, I was immediately struck by the number of tables arranged throughout the space. 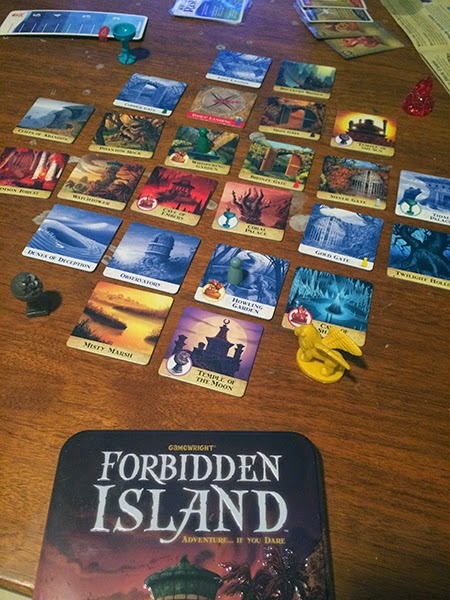 I picked up a game that Pat had mentioned and then arranged for our local blogging group, Southern Bloggers Jubilee, to meet there this month. The ample table space, friendly staff, and unique concept made me think it was a perfect spot. While we held our meeting a few weeks later, we got to learn a little more about this unique space. Jon Mansmann, owner, explained that the store started off in the closet of his office. He and some friends would play games after work. This small group grew to over 30 people, and Jon knew this passion was destined for something else. He wanted to create something different and told us, "You can buy games anywhere, but you can't play them anywhere." Since opening the shop, Jon and his wife Stephanie feel that they've "cultivated a family" within the storefront. There's a diverse group of individuals that come to the store to play. The ages range from 8-60 and their backgrounds all vary, but everyone gets along over the table. Each day, on Mini War Game's Facebook page, you can find a list of the games being played. 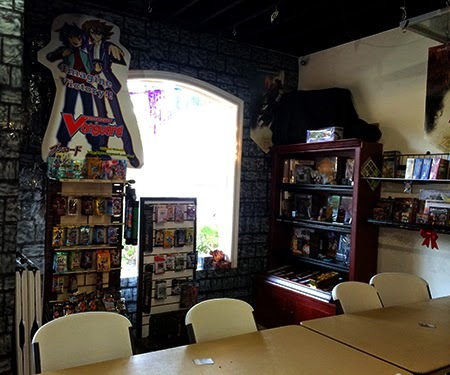 On Fridays, Jon and Stephanie even welcome the whole 'family' to dinner and a game of Magic the Gathering in the store (though, you are encouraged to RSVP if you want to eat). Just talking to Jon, you can tell that he considers the gamers who come to the store to be more than just customers. He really does encourage a family atmosphere and even reminds the students playing to do their homework too. I've now purchased two games from Mini War Game and am working on getting Pat up there to play sometime. It'll be just like the good ole days! Here an article from the Fairhope Courier, April 2013 with more info about Mini War Game. You should definitely check it out, or something similar in your own neck of the woods. It might bring back those "good ole days" memories too. what a cool place! Only in Fairhope :) Hope you had a good meeting! Jenna, It really is a super cool place. I hate that I didn't make it in there until a couple of weeks ago! The meeting was fine. We were all over the place with the discussion, but it was a nice visit in all. :) Thanks for popping in! Good job, Hope. Glad you introduced us to Jon and Mini War Game. I just finished my post on them, and it's set to publish on Monday. Have fun with your games! We used to have s similar place in downtown Dayton. I spent a lot of time there and had great fun. Sadly, like many other businesses, it has left the downtown area and disappeared. I know you will have hours of fun there. OhMyGosh! Loved this post, Hope! I'm going to see about bringing something like this to downtown Anaheim! 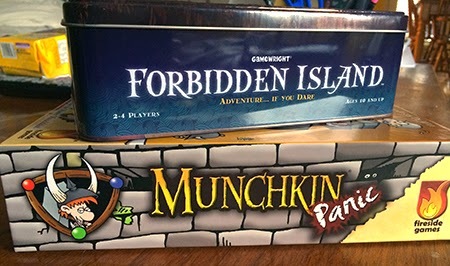 I love board games (thanks for reminding me about Tabletop with Will)! Jill, SO glad you liked this. I really enjoyed the place. So glad you mentioned Scattegories. . .that's my FAVORITE!! I don't have a copy of it anymore, but keep meaning to pick one up. 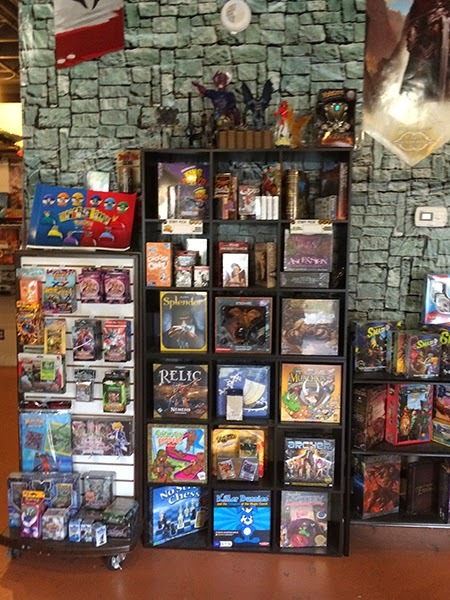 The shop here deals mostly in the geekier games (magic, D&D, etc.) but I think it's great we have a shop that carries those games that stores like Wal-mart and Target don't carry! I wonder in there's some way we can play scattegories online (like over e-mail, twitter, or FB messages. . .oooooh, or develop an app!!) Just thinking out loud. Ha! Nice post Hope! I hope John sees it. Too bad we didn't have more time to try out a game. LOL, great post...I was in the thrift store the other day and found a game that my brothers and I played as kids...hoping to get the family to try it.